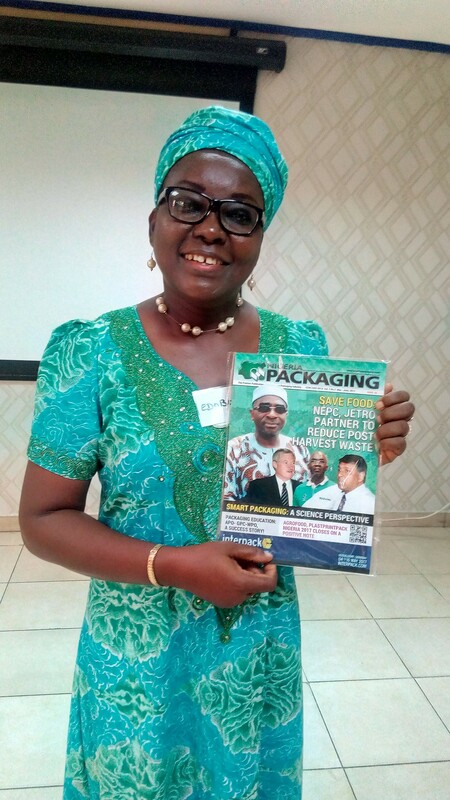 Mrs. Edobong Akpabio, 2nd Vice President, NNEW speaks about the activities of NNEW and challenges. Tell us a bit about NECA’s Network of Entrepreneurial Women (NNEW)? NNEW is a network of business women, this is our 11th year. NNEW was established in 2005 under the aegis of Nigeria Employers’ Consultative Association (NECA) to promote and nurture entrepreneurship among women. NNEW provides a platform for Women Entrepreneurs. What does it take to be part of NNEW? First and foremost, you must be a woman, it’s a gender based association and then you should either have an existing business or you have intention to do business in the near future. Please tell us some of the activities of NNEW and challenges so far? I think a lot of the challenges have already been overcome in the sense that a lot of women didn’t really have the arrow head body that they could associate with, that could help them in growing their business. NNEW has provided that platform where you have a group of women and the only thing that brings us together is our desire to be successful in our business. On the other hand, NNEW provides training because a lot of women went into business without any form of training. In fact, they thought they are doing well but by the time they attended some of the trainings of NNEW they discovered that they really were not doing well so there is that provision of knowledge that will help you to grow your business successfully. NNEW also provides platforms for Networking because we are business sector based. When you come into NNEW you will identify a business sector where your own business is associated. You will be further helped because you will be meeting people of like minds. In NNEW we don’t talk about competition, because with a country of 180 million people, there is enough room for all. So, that’s what NEW has done, this were things that we are lacking for about 11 years ago they were challenges. At a time also, there was a challenge of financial capacity that’s the capacity building area and that is getting people trained, let them know how to run their business, what the law says, the legal obligations, registering your company, keeping records, paying your tax and complying with regulations. NNEW have linkages with nearly every regulatory bodies that our members have relationships with, e.g. DPR that’s for those into oil and gas, NAFDAC, Standard Organisation of Nigeria etc. so that our members can go to them without too much protocol those were challenges in the past. NNEW will tell you who to go to, and that person is a very cooperative, knowledgeable and senior level official of this organisations. They will tell you exactly what to do so you don’t have issues. We have financial capacity; a lot of women could not access funds for their businesses so NNEW setup in 2010 the NNEW Multipurpose Cooperative Society where you get money up to some certain amount from part of your savings. Over time it becomes a significant amount of money and then we looked at it that there are millions of women out there, they have no place else to go, they don’t need millions of Naira to run their business some are as little as 20,000 Naira which makes a whole lot of difference. In 2015, we formed the NNEW’s Women Microfinance Bank, it is open to the public and its gender friendly because its owned by women so 90 percent of our customers are women and you know why? Most of our concentration is to be able to empower the women. More than 2000 women in the last 2 years have been empowered. Also, NNEW in collaboration with NECA has set up what we call NECA Global and Certification Limited. It provides certification for certain element of business that makes you internationally competitive. Those things that used to be challenges for us in the past are no longer challenges. The major challenge now is government policies. Government policies are our biggest challenge. Right now, implementation is not communicated. For instance, may I let you know that there is an executive order on voluntarily Tax declaration. You go voluntarily to declare your tax and of course you come out voluntarily, you pay, you get to pay the penalty within a certain time frame provided. May I let you know that many offices of the FIRS are not aware of that so they still ask people who came for voluntary declaration to pay fine so that’s government’s policy for you. So, those are some of the things which are a problem to us right now, these women want to go and register, they want to comply with the law, but the processes of the government agencies is drawing them back but we are engaging the government with advocacy. How important is Packaging to NNEW? 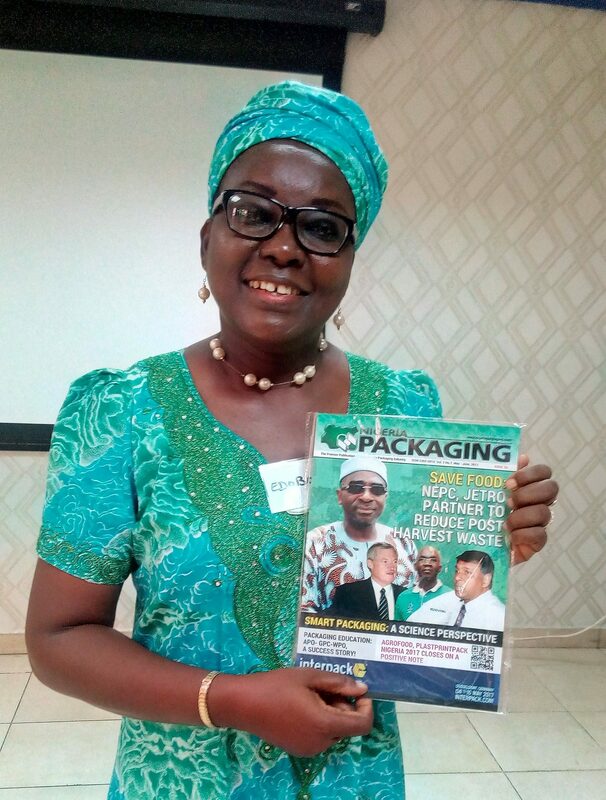 Packaging is what attracts customers to a product. Why I will choose a product over another? The first thing is the packaging because it is attractive. It is important to note that there is quality and brand reputation involved, all of which you can speak with your packaging. Machinery Makers Eye Sharjah Plastics Show.